Mendeley is a reference manager and academic social network from Elsevier. Mendeley makes it easy to manage references during the writing process. 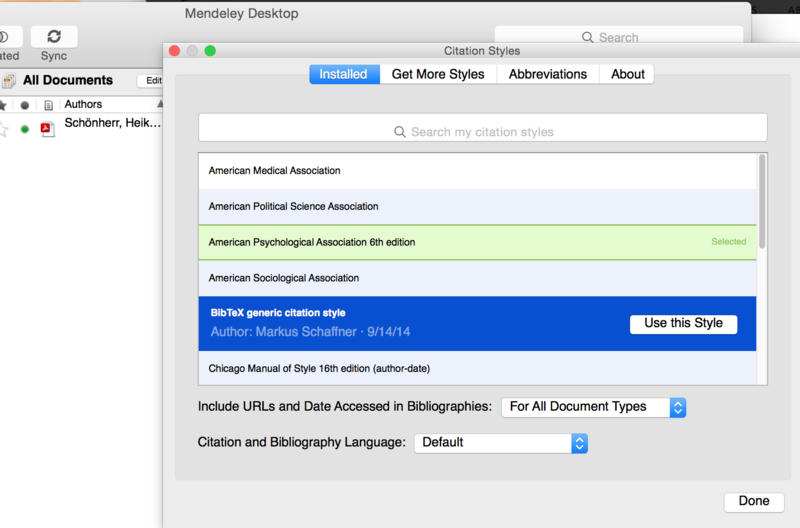 Authorea makes it easy to integrate Mendeley into your writing workflow. 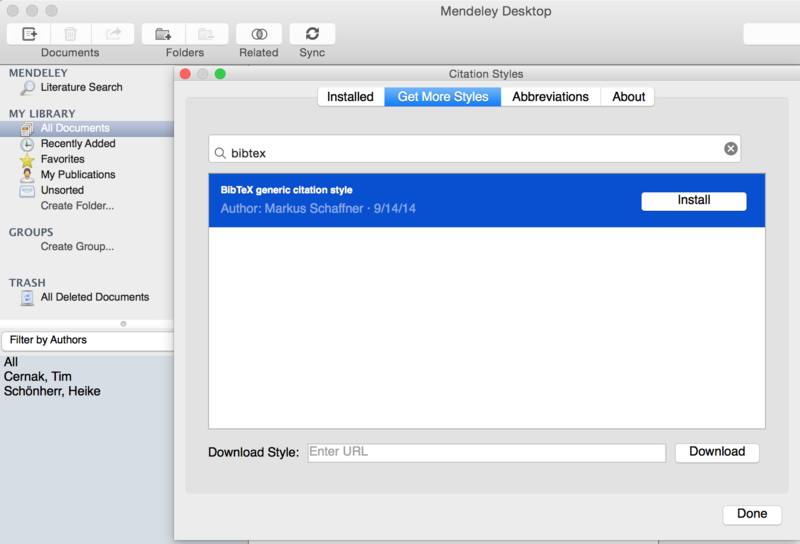 Integrating Mendeley into Authorea requires a one-time setup to change the default export option in Mendeley desktop to BibTeX. 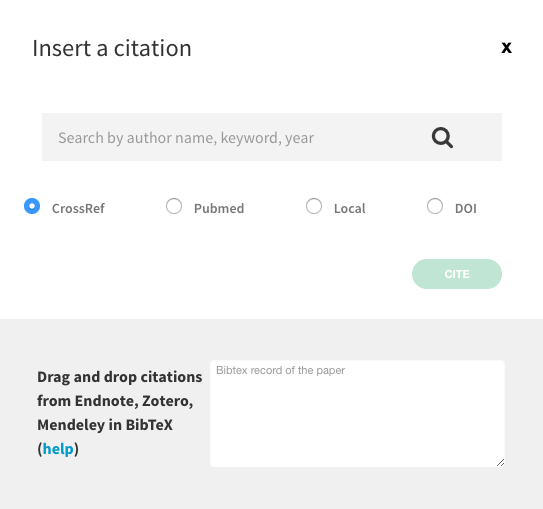 Click “cite” in the Authorea editor toolbar, and you can now drag and drop (or copy paste) citations from Mendeley into the BibTeX record box at the bottom of citation window.